We begin by conducting an initial assessment of your experience and qualifications to determine how you should approach your job search. We will then ascertain what type of position you are seeking in terms of the nature and size of the organisation, location, and most importantly, the level of appointment and remuneration expectations. Our services include candidate assessment, employment search and liaising with prospective employers and/or recruitment agents on your behalf. We offer you the skills and expertise accumulated over thirty-five years in the Australasian employment market since 1982. 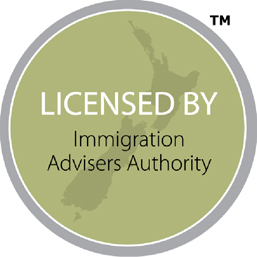 This is especially important to consider as an applicant for New Zealand residence under the Skilled Migrant Category, given that the majority of people require an offer of skilled employment in order to have their work and/or residence visas approved. An employment search on your behalf involves assisting you to identify suitable vacancies advertised in specialised online employment search engines. You will be required to register your employment interest online and suitable vacancies will be emailed to you. Once prospective employers and/or recruitment firms have confirmed an interest in you, we will liaise with them should they require reassurance regarding your eligibility to meet immigration and employment criteria. Our primary objective is to assist you to identify suitable employment opportunities in the period of time immediately preceding your departure for New Zealand, with a view to secure employment interviews upon your arrival. Employment search clients must consider making themselves available for interviews in New Zealand, for a period of at least six to eight weeks to improve their prospects of a successful outcome. 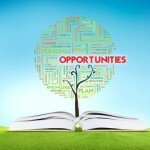 Our goal is to enhance your prospects of securing permanent full-time employment in New Zealand or Australia. Should you require the job offer to fulfil Immigration New Zealand requirements for lodging a successful New Zealand residence application, then we will ensure the job offer is acceptable for this purpose. This will enable you to claim an additional 50 or 80 points, depending on location. It is the responsibility of the Client to work as a team with Tri-Nations Migration, to be proactive about searching for employment opportunities and participate in the process. Tri-Nations Migration will work with the Client to secure employment ‘sight un-seen’ (i.e. without having to travel to New Zealand). However, it is likely that the Client will need to travel to New Zealand to meet with prospective employers and/or recruitment agencies and attend face-to-face interviews. In Australia and New Zealand, the resume is an essential tool when applying for employment. Therefore, it is important that your resume contains the necessary information to maximise interest from prospective employers. We will prepare a resume for you that is familiar to local employers in its format and design, so that they will give it the due consideration and the respect of a locally based applicant. 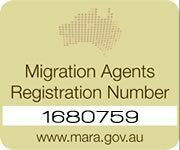 A letter of recommendation is prepared on a Tri-Nations Migration letterhead stating that you have retained my services as your licensed immigration adviser and that I am assisting you with employment search in New Zealand or Australia. The letter not only states that you are eligible to work in there but it also proves your commitment to settle permanently, on the basis that you have applied for permanent residence. Naturally, when an employer reads your Resume, it will be apparent that you are from overseas, however, the off-shore employer is reassured that your employment and immigration status has been clarified. We will advise prospective employers of your pending date of arrival and include your local mobile telephone number. This service is provided free of charge. Naturally, when an employer reads your Resume, it will be apparent that you are from overseas, however, the employer is further reassured by the fact that your local employment status has been confirmed. There is no need for the local employer to become involved with Immigration authorities, other than validating your offer of employment. The key to lodging a successful application for employment is based on timing. We therefore recommend that you only start applying for advertised vacancies online, when you advise us of your travel plans for visiting New Zealand or Australia. Advertised positions are sourced from the internet and major newspapers. We normally require at least six weeks notice. It is important that you do not compromise your credibility in the market place by applying for employment when in fact you may not be available to travel for six months. A prospective employer would quite rightly advise you not to waste their time and we do not want to jeopardise your prospects of employment with a company for later. We cannot over emphasise the importance of creating a LinkedIn profile when searching for employment in the New Zealand and Australian markets. Local employers and recruitment companies troll this site for talent and you may be contacted direct regarding an employment opportunity. LinkedIn also gives you access to the hidden job market in New Zealand and Australia because a request for your Resume could lead to an employment offer for a position that has not been advertised and where there may be no other candidates for the vacancy. Prior to travelling Downunder, we will supply you with ten hard copies of your Resume, and fifteen hard copies of your personalised Letter of Recommendation on letterhead, as well as electronic versions, to enable you to apply for vacancies online and print out additional copies later. We will also provide you with information relating to the types of questions you may be asked at interview (so that you may think about your answers in advance) and advise you how to follow up an interview, either by telephone or letter. Finding employment with our assistance is very much a joint effort between Tri-Nations and yourself. You cannot afford to travel to New Zealand or Australia and sit in a hotel room and wait for the phone to ring. You must be proactive in pursuing all possible employment opportunities and establish your networks, soon after your arrival. The benefit of our company’s post migration services is that prior to your arrival, we will assist you with opening a bank account and provide you with the correct forms to apply for a tax number and drivers licence. 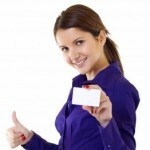 We also provide you with a free sim card so that you already are in possession of a local telephone number. Having these structures in place prior to arrival, enables you to focus on your employment search without the distraction of having to attend to these matters later. Please note that while we will make every effort to ensure an offer of employment is forthcoming, at no stage of the employment search process can we guarantee to obtain for a client, either an offer of employment or an interview. However, we do guarantee to follow your employment search process and this will enhance your prospects for finding employment. The chances are that we may find employment for you but then you may find employment for yourself. If nothing else, by preparing you before your departure (as stated above), we give you the confidence to go out and find your own job. Quite literally, the groundwork has been laid for you and upon your arrival, you will ‘hit the ground running’. Moreover, we give guarantee that we will do our best to help you find employment, but ultimately, this is the employer’s decision. You can be assured, however, that our expertise and knowledge of the Australasian market will enhance your prospects for achieving a successful outcome for your employment search.